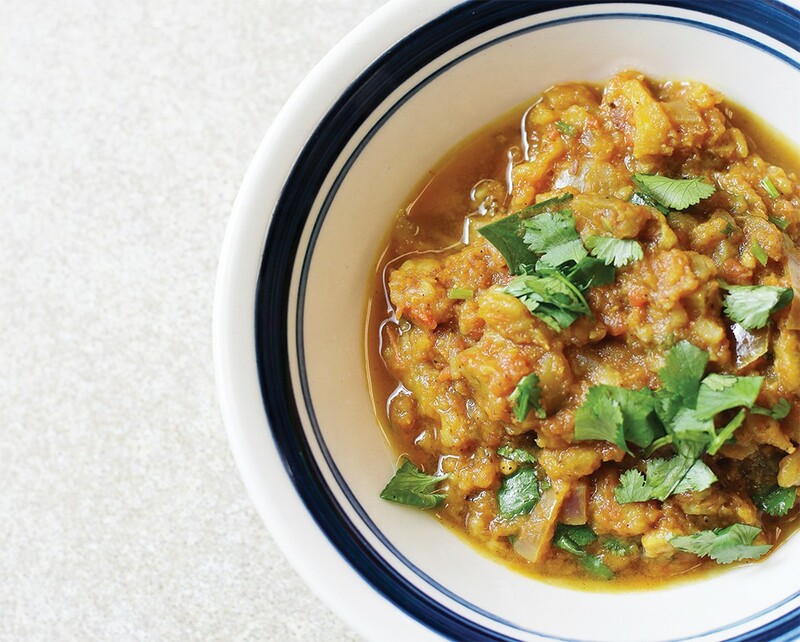 Inland Curry's baingan bharta is a eggplant dish seasoned with aromatic garam masala. Inland Curry founder Daniel Todd admits to being a fussy eater growing up in Michigan, although he'd easily make a meal out of sweet corn or perch fried in cracker crust. "I still don't like potatoes," says Todd, who has since expanded both his palate and his vision for connecting with others through food. In 2017 he created Inland Curry, where he prepares a rotating weekly menu of Indian dishes he posts online and makes available for pickup. A year later, he developed what he hopes will become monthly dinners highlighting regional cooks serving the cuisine of their homeland or heritage — Nepali, Afghani, Kenyan, Peruvian, Kurdish, Bhutanese, Jordanian, Syrian — which he facilitates through Inland Curry. Curry is only one of the flavor profiles Todd employs in his weekly menu, which typically consists of two meat (beef, chicken and occasionally lamb) and two vegetarian dishes, including dal (lentils), chana (chickpeas), and masala (tomato-onion stew). A few dishes reflect the cuisine of the Chennai or Kerala regions, says Todd, but most hail from Punjab region in northern India, especially the masalas combining garlic, ginger, onion, tomatoes, ghee and turmeric. "Those are the masalas everyone knows," says Todd, who was first introduced to Indian food through a student whose family ran Brij Mohan Indian restaurant in Cincinnati, Ohio, where Todd was teaching English at a local college. He was curious about all the vegetarian dishes, he says, and remembers eating baingan bharta (see recipe, page 45), which was the first time he actually enjoyed eggplant. In addition to teaching, Todd worked as a copywriter, which is what he was doing when he and his wife decided to relocate to Guatemala. They'd been attracted to the country's vibrancy ever since visiting to adopt one of their sons and lived there from 2004 to 2006. While in Guatemala, Todd became friendly with a missionary who had grown up in Thailand and the two bonded over cooking. Todd found himself helping with fundraisers, acquiring skills that would eventually enable him to cook for larger groups. 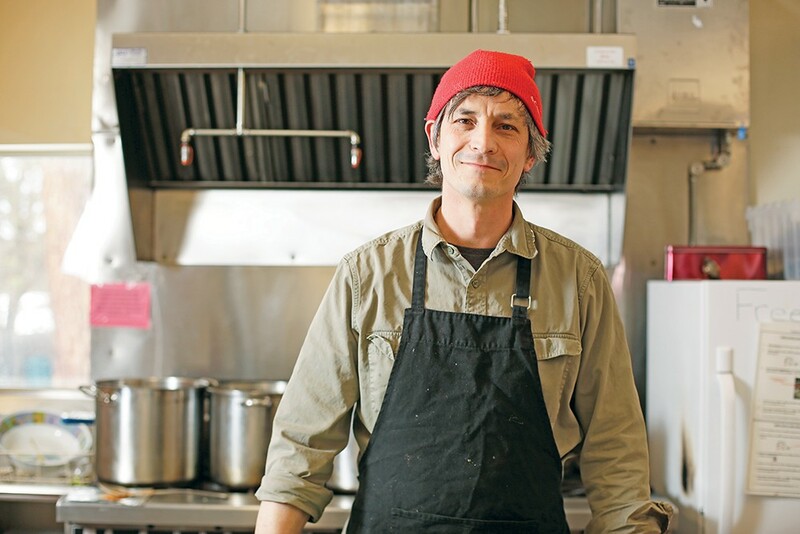 Here in the Northwest, yet another friendship forged over food cemented Todd's connection to Indian cuisine when he apprenticed with his friend Peter Hicks, founder of Sandpoint Curry (formerly Sandpoint Curry in A Hurry). After six months with Hicks, Todd was ready to create his own venture, landing first at the Spokane Woman's Club, then relocating to several area churches for awhile. He recently returned to the Woman's Club, where Inland Curry is open for pickup — they accommodate walk-ins when possible — every Thursday. Todd has other ideas in the works, but they don't include expanding Inland Curry past its current schedule. "I don't know if I'd love [cooking] if I had to do it five days a week," he says. What he's more interested in is in getting small details right. "It would be a lot cheaper and easier to use canned tomatoes," he says, but little things — making his own ghee (clarified butter), toasting and grinding his own cumin and coriander — matter to Todd, who says that he's very conscientious about cooking from a heritage of which he is not part. Todd likes the intimacy of Inland Curry's business model, and is honored to have around six to 10 regulars every week. It's especially satisfying, says Todd, when people of Indian heritage come to Inland Curry. "And when they come back," he adds. Similar to curry, the Indian garam masala is quite variable and actually refers to a blend of spices, rather than a single ingredient. Garam masala typically includes cardamom, fenugreek, cinnamon, bay leaves, nutmeg, mace, black peppercorns, cumin and coriander, many of which have been individually shown to favorably impact health. The aromatic garam masala combined with the unique treatment of the eggplant and heat from the serrano chilis unite to create this dish's unique character. Serve over rice and garnished with chopped cilantro for a flavorful meatless entrée or side dish. Be sure to have all ingredients assembled to enable rapid additions once cooking begins. 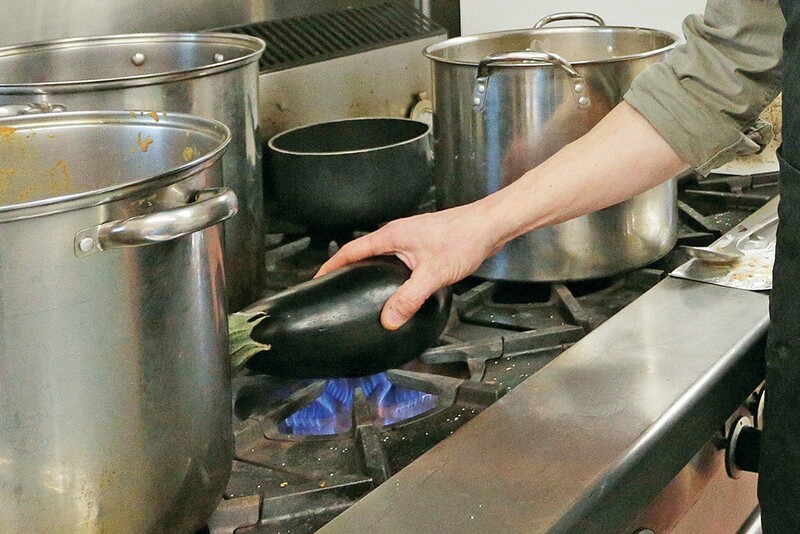 Roast eggplant over a gas flame or in the oven* on medium heat for 10-12 minutes or until the skin turns black and inside is soft, then set aside to cool. Saute onion, chili and cumin seeds in ghee (or vegetable oil) until the onions begin to brown, about 10 minutes. Add garlic and ginger and cook for 1-2 minutes. Add turmeric and garam masala and cook for 30 seconds. Add tomatoes and water and cook for 5 minutes, stirring frequently. Add mashed eggplant and cook for 2-3 minutes. Add lemon juice and 1/2 cilantro and cook for 1 minute.8. Garnish with remaining cilantro. Skin eggplants, then cut into one-inch cubes. In a bowl, combine chopped eggplants with 1 tablespoon oil, 1/2 teaspoon of salt, 1/2 teaspoon of turmeric, and 1/2 teaspoon of garam masala. Roast eggplant at 500 degrees until edges begin to blacken, about 15 minutes. Mash eggplants or pulse a few times in a blender or food processor. The original print version of this article was headlined "Blending Traditions"